Like many people, I’m a fan of the “post-apocalyptic” genre of books, television shows and movies. 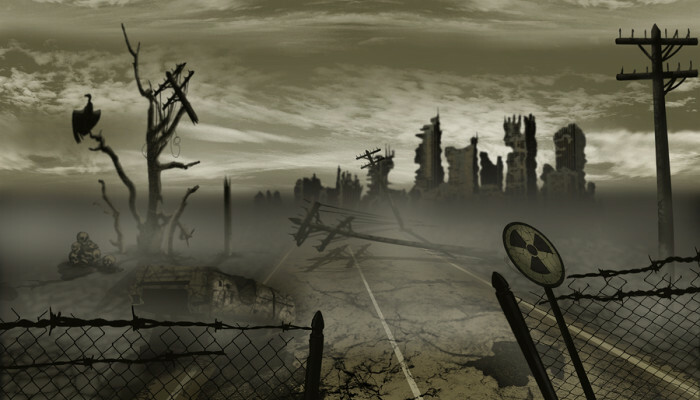 How the world gets into a post-apocalyptic state varies, as does the appearance of zombies. A plague ravishes the planet, someone starts a nuclear war, the world economy collapses, an asteroid hits, etc. There seems to be no end to the ways civilization can end. Additionally, the plague-oriented scenarios generally always include some form of zombies, from the slow moving walkers of the hit TV series “The Walking Dead”, to the fast-moving killer variety that Brad Pitt has to deal with in “World War Z”. One theme that is getting very popular is the “loss of the US power grid” scenario. The onset of this tragedy usually gets depicted in a couple of ways, such as the “hacker to the system” scenario (or some computer intervention thereof as in NBC’s “Revolution”), or an EMP from a nuclear blast, as depicted in several books like “One Second After” (forward given by Newt Gingrich). No matter how you slice it, any scenario that puts us in post-apocalyptic mode is a “bad thing”. Whether one scenario is better (ie…more survivable) than another has been the source of frequent dust-ups at local Comic-Con conventions. Would you rather have no electricity and brave the conditions of a pre-Edison world, or is it easier to deal with zombies? Arguably, regardless of what initiates the scenario (a plague, killer asteroids, nuclear-capable terrorists, or hackers), the power grid eventually goes down anyway. The only question then is whether you’ve got no zombies, slow zombies, or go-go zombies. Zombies aside, losing the power grid can be catastrophic, and has been the subject of frequent articles and studies. Also putting aside the arguably plausible scenario of a rogue nation or terrorist group setting off a nuclear explosion in the atmosphere and frying a large portion of most of our electrically oriented devices via the resulting electromagnetic pulse, the one scenario that seems to have the most traction is a cyber-attack of the ever more computer-reliant nature of the nation’s power grid. What ensues may seem like fanciful daydreams to many people, but if you’ve ever been the unlucky participant of an event like a hurricane, severe snowstorm or earthquake that took out your regional power grid for days on end, I have no doubt that many can attest to how quickly things get “uncivil”. When faced with the prospect of no electricity for days on end, it can be terrifying how quickly the fabric of society can come unraveled. It happens in days. Not weeks, not months. And the more wide-spread the issue, the faster those threads unwind and become frayed. So, if you’ve ever complained about the price of your electricity, or whether or not it’s “green” enough, I think many who watch the show will come to appreciate how critical our national power infrastructure is, not only to the creature comforts we have come to know and love via electricity, but to the very safety of our society as a whole. I’ll be watching “American Blackout” with great interest, and with considerable respect for the sanctity of our national power grid. I’ll also have my web browser open to shop for the best retail power price.